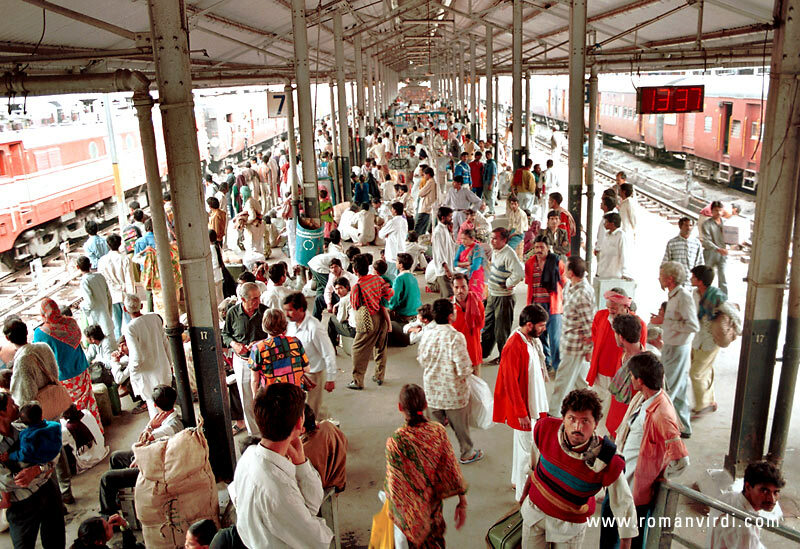 "This is one of the platforms of Old Delhi railway station. There are usually lots of people with amusing pieces of household belongings milling around in India's railway stations. The Indian Railways is the world's largest employer.. "